Good quality ink cartridges in Cork are not too hard to find although you may struggle to locate the less popular brands in the city. Any good ink shop in Cork will stock the standard HP, Epson and Canon cartridges but getting your hands on a compatible Dell or Samsung may prove more difficult. An online search will usually reveal that these cartridges are easily obtained and delivered to your door within 1 – 2 days. For example, the Advent ink cartridges that are rarely sold outside PC World or Currys are not readily available in your standard ink shop but are available with next day delivery from online suppliers in Ireland. The savings made on the compatible cartridges are too big to be ignored and in some cases locally can be as much as 20% when compared to original brands. 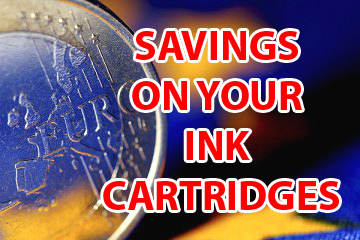 On line however, the savings can be up to 70% and in some cases suppliers will give free ink and low cost delivery! If you are using the Google search then your search can be as short as ‘compatible ink cartridges Cork’ or simply ‘ink cartridges’. This will bring you results of the local businesses and the online businesses that deliver to your city within a couple of days. Online suppliers will be more likely to offer bulk packs for the heavy users both at home and in the office. If you print a lot and use a large amount of ink then the bulk packs that contain up to four sets of cartridges will be the best buy for you. These heavily discounted packs can offer big savings and mean that you don’t have to order as regularly as you would have done or make those costly trips to your ink shop. If you decide to shop online then finding a good supplier is crucial and doing your research beforehand will allow you to build up a picture of which suppliers offer discounts and money-back guarantees as well as fast delivery. Many online suppliers are open to negotiation for bulk buying and will offer more discount that they advertise on their website so this is worth bearing in mind and making a phone call can save you even more money!